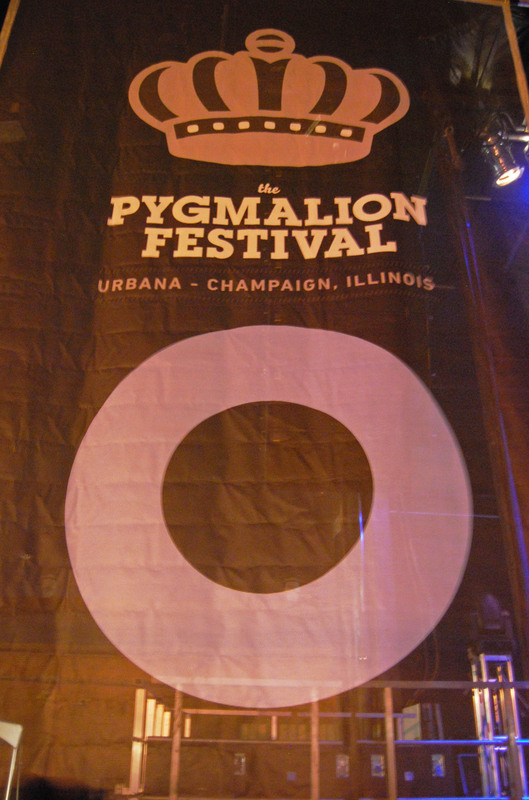 Craig recently attended the Pygmlaion Festival in Champaign-Urbana, IL. 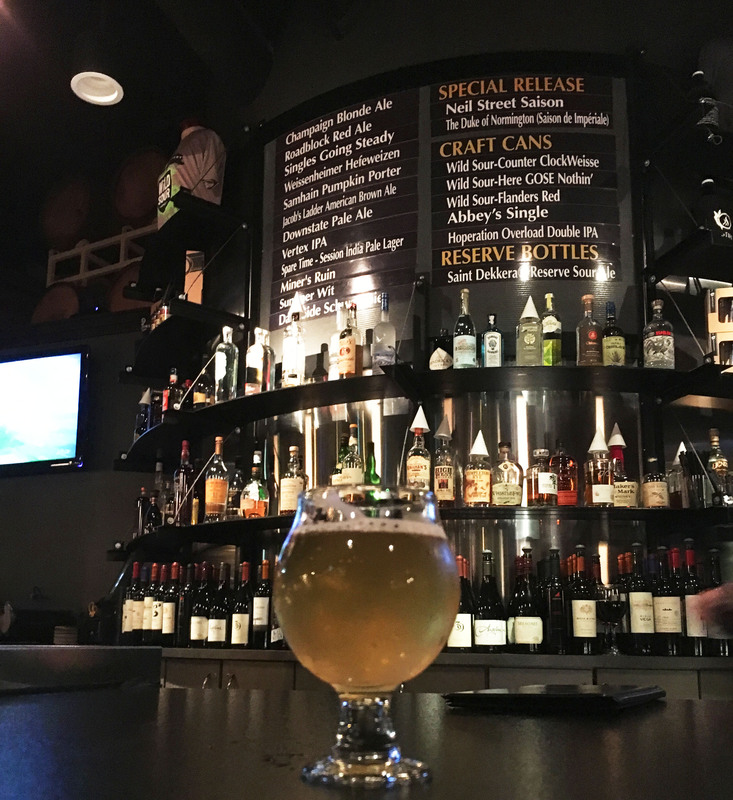 Along with seeing some great live performances, he also hit a few of the local breweries, most notably Triptych Brewing, creators of the Pygmalion Pilsner. Lollapalooza. Coachella. 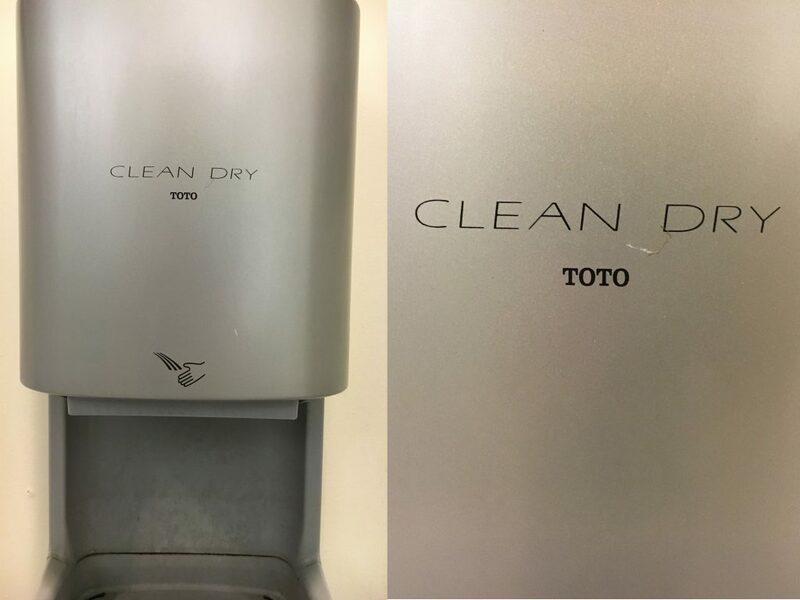 Bonnaroo. South by Southwest. When someone mentions “music festival” those are the ones that come to mind. 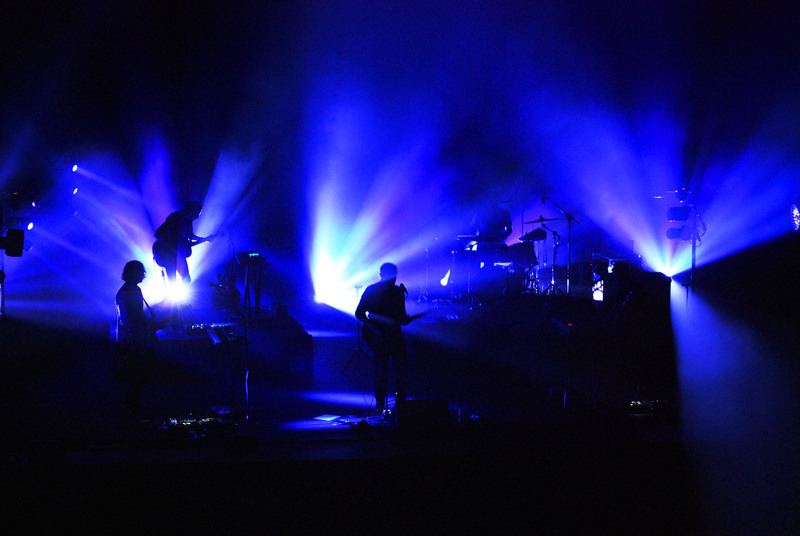 All have been around for at least a decade and, in some cases, have spawned events on other continents or have expanded to include other areas in addition to music. But one that does not pop into your head immediately is The Pygmalion Festival. Even though meeting some of the above criteria, friends of mine would respond with a “WTF is Pygmalion?” or “Where is it?” when I told them I was gone for the weekend. Heck, it even has its own beer, brewed specifically for the festival by Triptych Brewing. The Pygmalion Festival began in 2005 as the Pygmalion Music Festival by Seth Fein after he stopped drumming with the band Headlights and thought Champaign-Urbana needed a music festival. He realized he was able to book a number of bands through his Nicodemus agency and it all just fell into place. Thanks Seth; I graduated in 2003. Since then, the festival has expanded to include a literary component (“Lit”), a hand-made craft fair (“Made”), technology panels (“Tech”), and a food festival (“Food”). Initially lasting only four days in late September/early October (Wednesday through Saturday), the festival now encompasses two weekends and the week in between. I have been fortunate enough to see many great performances in the three other times I was able to (or remembered!) to attend – 2007, 2009, and 2011. 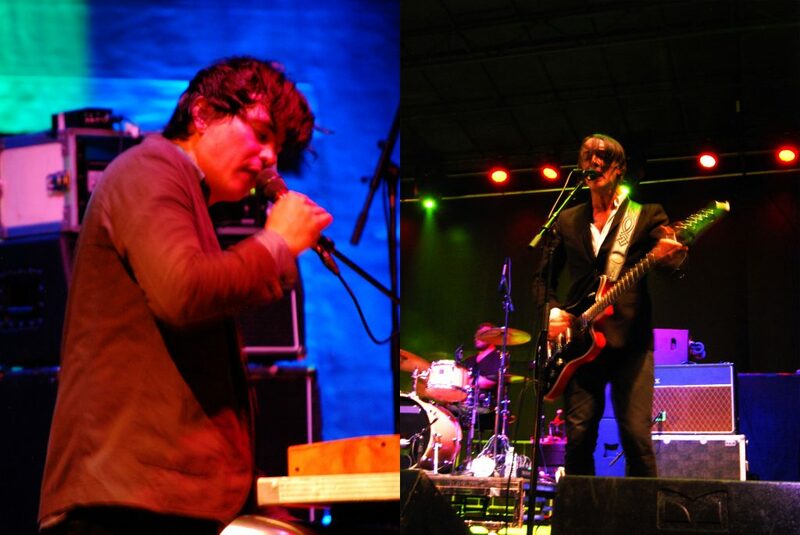 Comparatively, Pygmalion is similar to South by Southwest, with performers playing in different venues around town as opposed to one centralized location. Or it was. In previous year that I had attended, both typical concert venues as well as atypical ones – like bars – would hold concerts. This year a majority of the performers were in two venues – the Krannert Center for the Performing Arts and The Accord Annex. The Krannert Center is acoustically perfect. It has a seated theater that is perfect for a recital or small graduation ceremony; Andrew Bird played there in 2007 and it was absolutely perfect for him. If you’re ever in Champaign-Urbana and there’s a concert there, go. You will not be disappointed. The Accord Annex (formerly the High Dive) is the parking lot located behind the Accord. 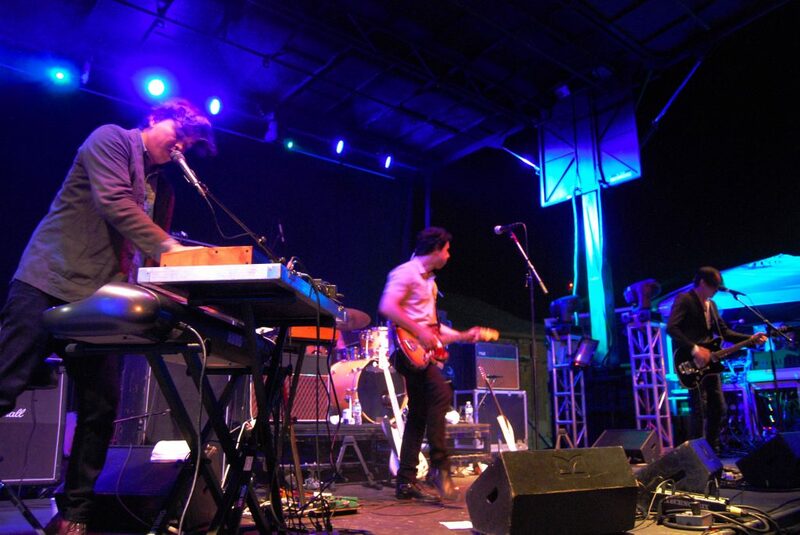 First used in 2011 for Polyvinyl Record Company’s 15th anniversary shows, it has become a mainstay at the festival, with an additional stage being added and a vast majority of the Friday and Saturday performances being held there. It’s a bit dicey as it’s outdoors and the weather in Illinois can be unpredictable, but it’s a solid venue to see a show. 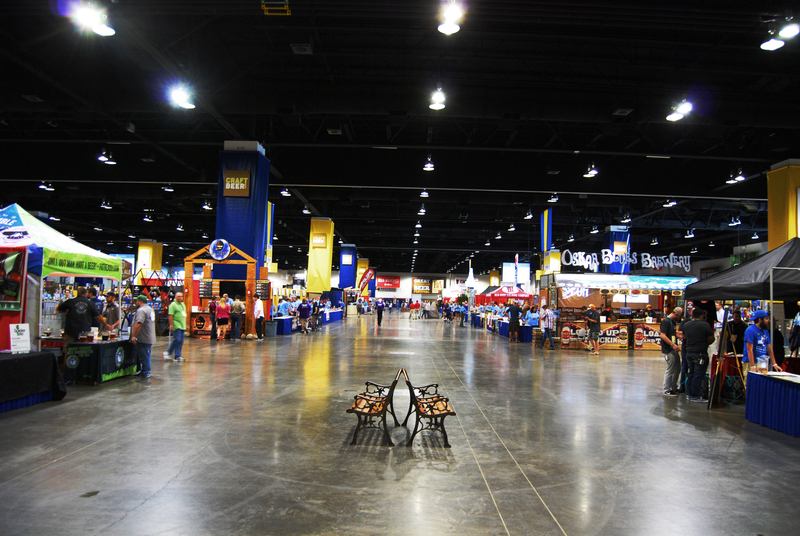 What I did miss this year were all the different venues that participated in years’ past. I loved being able to go to some bar I’d never been to before, have a drink, and enjoy some music from a band or performer I’d never heard of before. It was a nice little unique thing absent from most other festivals that I miss. Likewise, somehow The Canopy Club – arguably the best place to see a concert at in Champaign-Urbana, was not a venue. Previous years always featured it and I really missed not seeing a show there during Pygmalion this year. Hopefully it returns to the rotation next year. Well you’ve heard enough of my old man ramblings. On to the music! 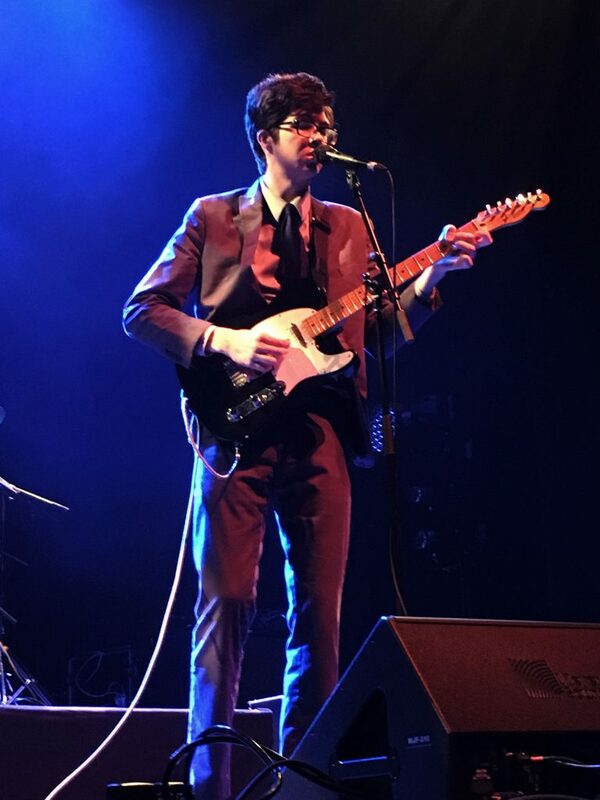 Started in 2010 by Will Toledo and being named because he liked to record the vocals to early albums in his car for privacy and was therefore looking at/singing to the car seat headrest, Car Seat Headrest has released 12 albums, mostly on Bandcamp. Having previously seen them at The Empty Bottle in Chicago and being amazed, I was ready for a college-level follow-up. But Toledo and company had other ideas. Instead of a balanced attack of slow-burners and all-out assaults, Toledo opted to play to the venue. Setting the tone by emerging alone and playing “Way Down,” a new, melancholic song with simple cords and pensive lyrics, and continued this theme by playing “Maud Gone” and “Drunk Drivers/Killer Whales.” The cavernous nature of the venue led to rockers from his new album Teens of Denial like “Destroyed by Hippie Powers” and especially “Fill in the Blank” – which sounded like a train coming through at the Empty Bottle – being slightly less powerful and immediate. Toledo ended the set with the short and simple “Stop Smoking” from his Twin Fantasy album. 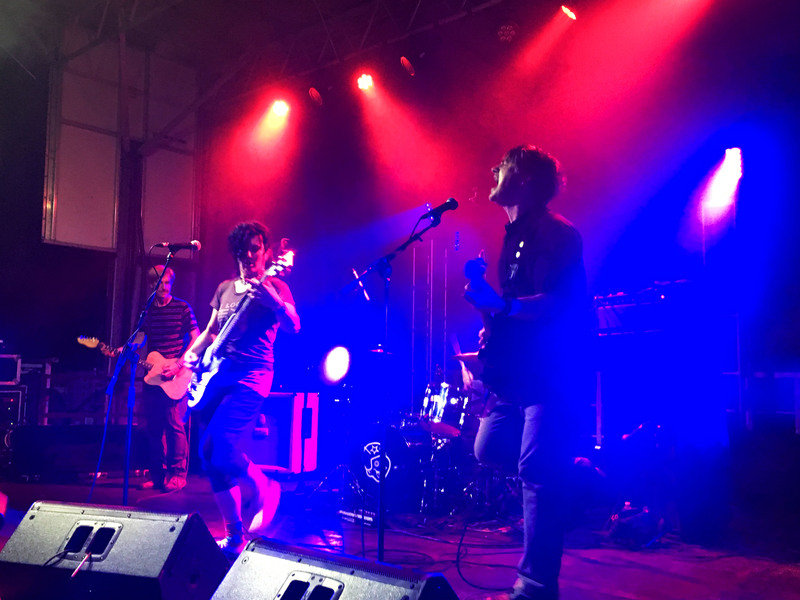 Plus, compared to the other acts at the festival, the stage banter was completely absent. 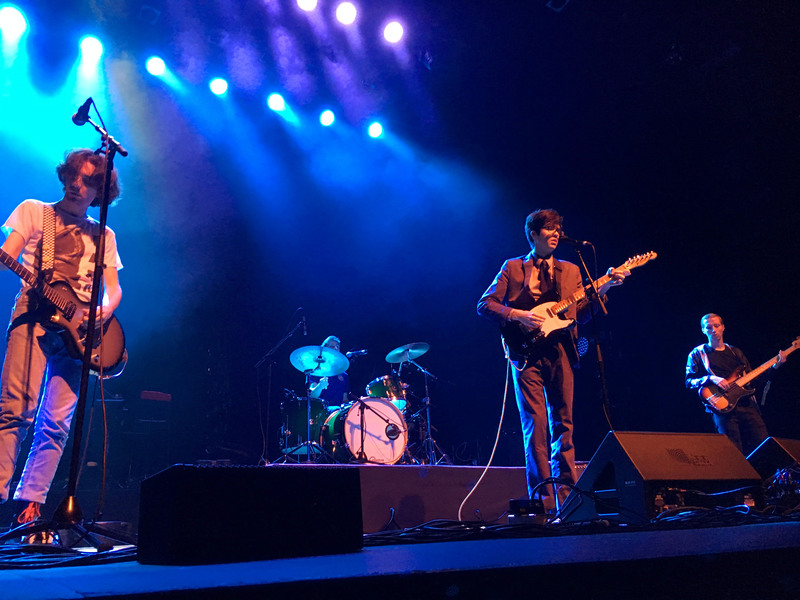 Car Seat Headrest’s set was solid, but another venue (hey Canopy Club) would’ve elevated it immensely. 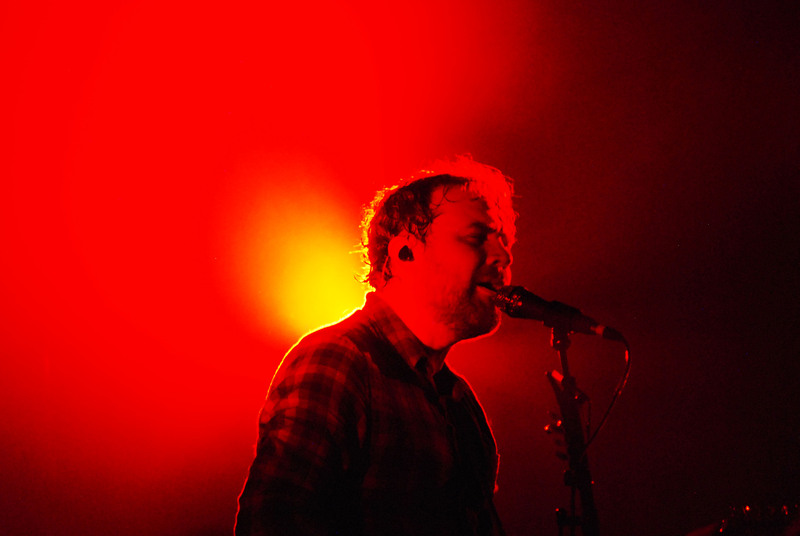 Frightened Rabbit formed in Selkirk, Scotland in 2003. Having heard of them but never actually listening to any of their music, I wasn’t too interested in seeing them at Pygmalion. Glad I was at a festival like Pygmalion, because they put on a show. About halfway through the set people started to move up to the front portion (the only place where there was no seating) and, soon enough, a majority of the crowd was standing in and throughout the first four rows, as well as on the risers on the sides, which elicited an, “I like you guys,” and a smile from Hutchinson. We like you too, Scott. 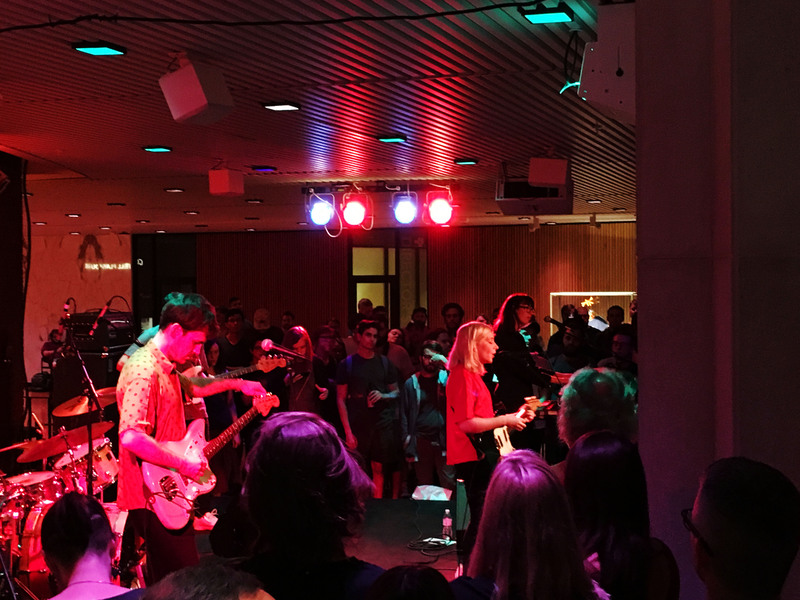 Moving to the lobby after the Frightened Rabbit set, Toronto-based Alvvays (pronounced “Always”) put on a solid set. 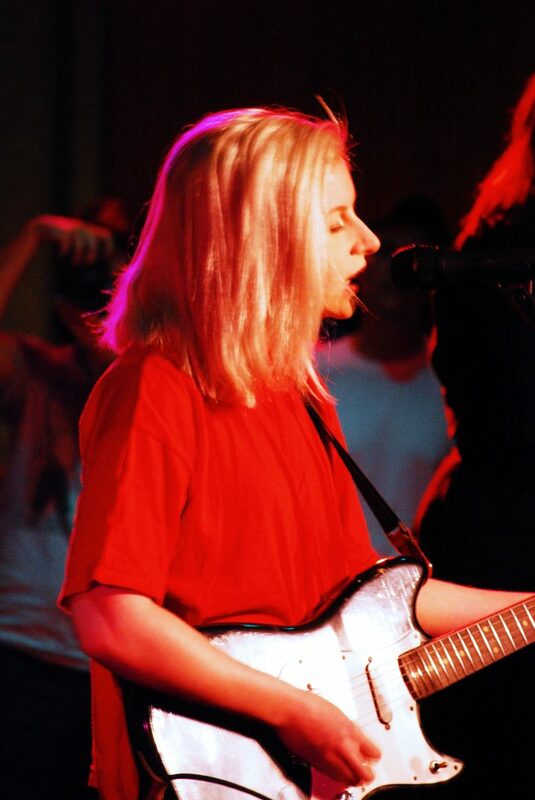 Most, if not all, of the songs from 2014’s Alvvays were represented along with a few new tunes. The new songs sounded very similar to those from Alvvays, so fans should be on the lookout for the new album (which they just recorded). 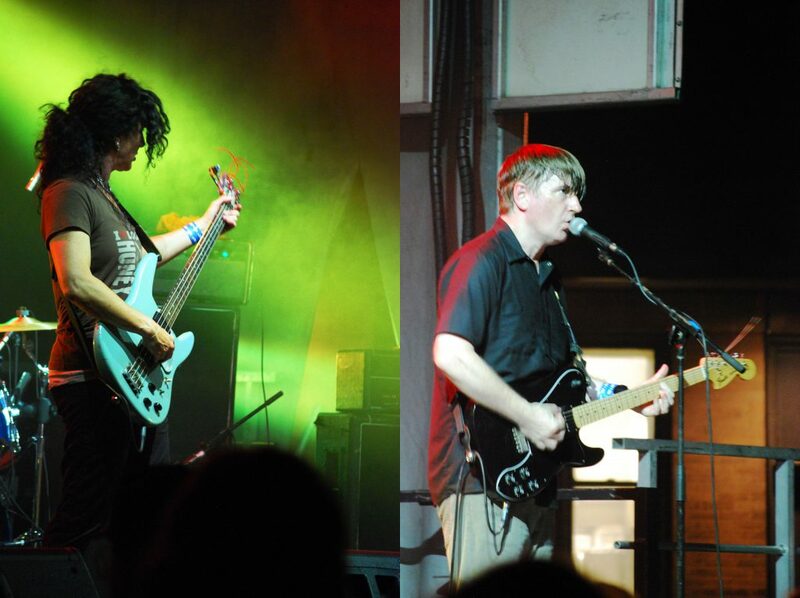 The band describes their style as “jangle pop,” with lush guitar work, a smattering of keyboards and vocals out front. With a very few exceptions, everything they played sounded spot-on to the album, with standouts like “Marry Me, Archie,” “The Party Police,” and “Adult Diversion,” eliciting cheers from the crowd. The band, especially frontwoman Molly Rankin and guitarist Alec O’Hanley, were happy to talk to the crowd about visiting the Quad on campus (“Canada doesn’t have quads.”) and watching someone play Dance, Dance Revolution (“I can’t see myself using the bar. I’d probably look like a gorilla with my arms flailing.”). There were no problems with sound, but when there’s a stage about two feet (if that) off the ground and a 5’2” lead singer, there was no way to see the band beyond the first two to three rows. I’ll definitely keep my eyes peeled for the next Alvvays concert in town. So they’ve been a band since 1987, have 11 studio albums, and were active when I was going to school there, yet somehow I had never seen them live or even heard of them. Well I screwed up. A new album is in the works, as they’ve already recorded some songs with Steve Albini, and will be playing at Schuba’s in Chicago in late November. I plan on being there (unless I’m recording the podcast). Wolf Parade, along with Car Sear Headrest, were the main reasons I came to Pygmalion. Their set, despite some sound issues, was everything I wanted. Wolf Parade was basically playing a greatest hits show, focusing on their acclaimed Apologies to the Queen Mary from 2005. “Shine a Light,” “I’ll Believe in Anything,” and “This Heart’s on Fire,” sounded as if the band hadn’t taken an almost six year hiatus. But they are recording new songs, and two of them were played (“C’est La Vie Way/Floating World,” and “Mr. Startup,” both from their new EP). All albums were represented, though, with at least two from each one. Keyboardist/singer Spencer Krug, as is his wont, was very animated at his keyboard, alternately having one leg bent on the chair and stand up while playing, with a copious amount of arm gestures thrown in for good measure. Bassist Dante DeCaro and guitarist/singer Dan Boeckner were playing ferociously as well, and drummer Arlen Thompson was keeping the train moving as only he could. Pygmalion generally books independent, rock oriented performers to perform at the festival. 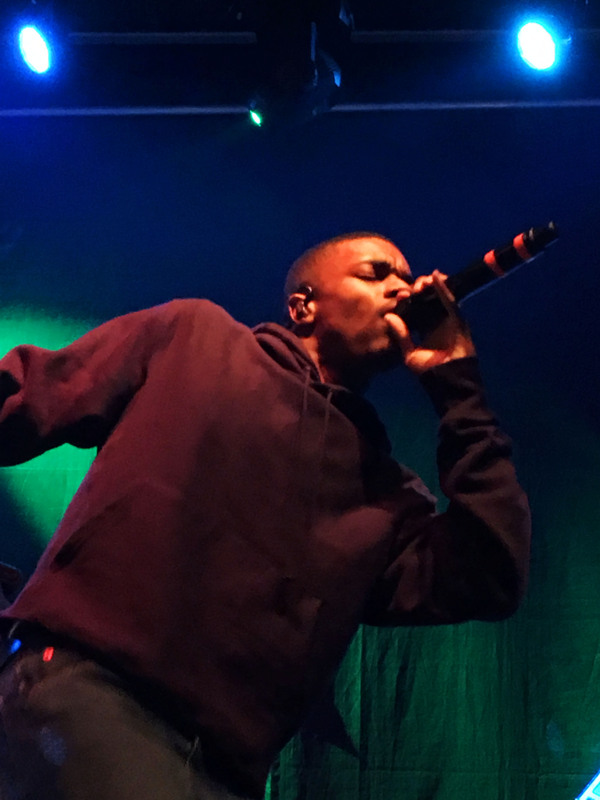 Although that is slowly starting to change (there were at least three rap acts and a few electronic/DJ acts), rap acts are still rarely headliners at this festival (last year did feature Run the Jewels as a headliner), so Vince Staples really had to bring it. This was honestly the most the crowd was into the music at the festival (at least from my vantage point near the front). From the first dropped beat to the final verse, Staples had the audience in the palm of his hand. 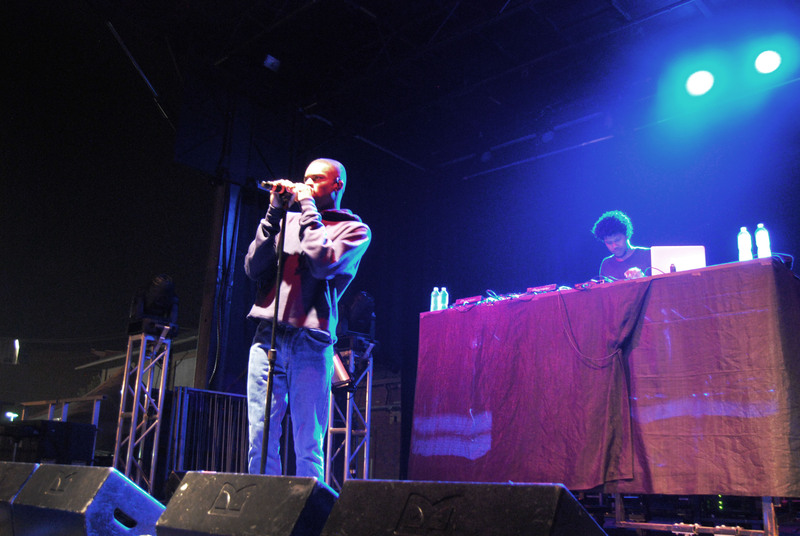 While a majority of his set was culled from his 2015 debut Summertime ‘06, Staples stilled played a few tracks off his recently release Prima Donna. Staples fed off the audience’s energy, bouncing around and dancing to the beats, and starting with “Lift Me Up,” began bounding from side to side on the stage, rarely taking a break. After a couple of songs, he finally grabbed the mic stand and took a much needed break preferring to sing while standing and looking at the audience. Banter with the crowd was sparse, outside of some current events chatter and some directions to raise your hands. But of all the performers there (save for maybe Poster Children), Staples provided Pygmalion with the most energy and vibe. I went to college in Champaign-Urbana from 1999-2003 and there was no place to get a quality, locally made beer (not that college me really cared all that much). Now that I am older, wiser, and have better taste, thankfully the area around Champaign-Urbana has evolved as well, allowing for multiple locally produced craft beer options. Visiting friends or going to a concert no longer means you’re stuck with macro brews and mixed drinks. 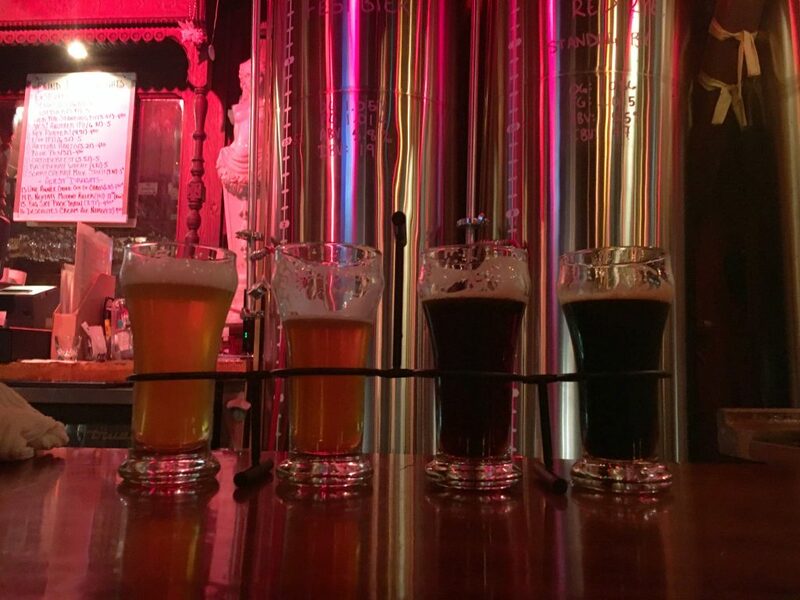 There are multiple reasons, at least for a craft beer enthusiast, to plan a stop in Champaign-Urbana and spend a day or two trying all it has to offer. Yes, it has the same name as the IPA made by Vinnie Cilurzo, and, yes, he has contacted the brewery and all’s well (for now). Started in 1990 as a craft beer bar, it expanded to a nano-brewery (and a separate building across the street) in 2009. 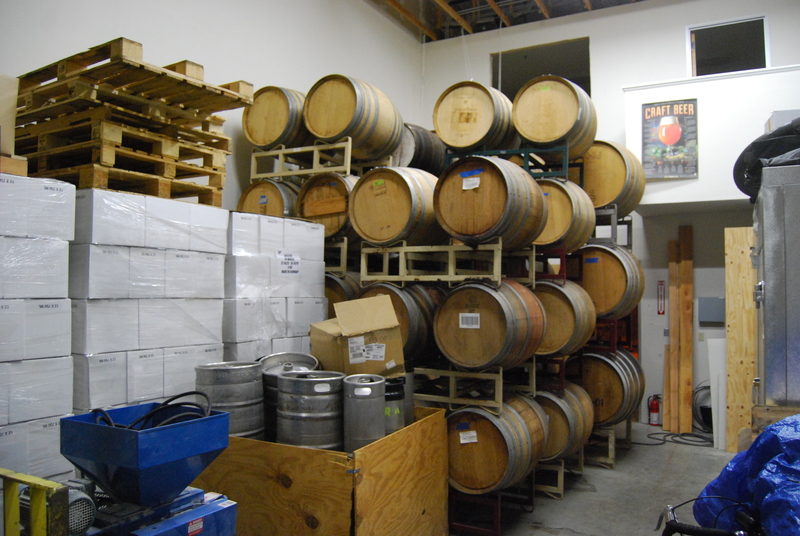 Earlier this year, owner Chris Knight and brewmaster Bill Morgan found a building to begin packaging and kegging their beer. Twelve Blind Pig Brewery beers were on tap at the brewery, as well as four guest taps. 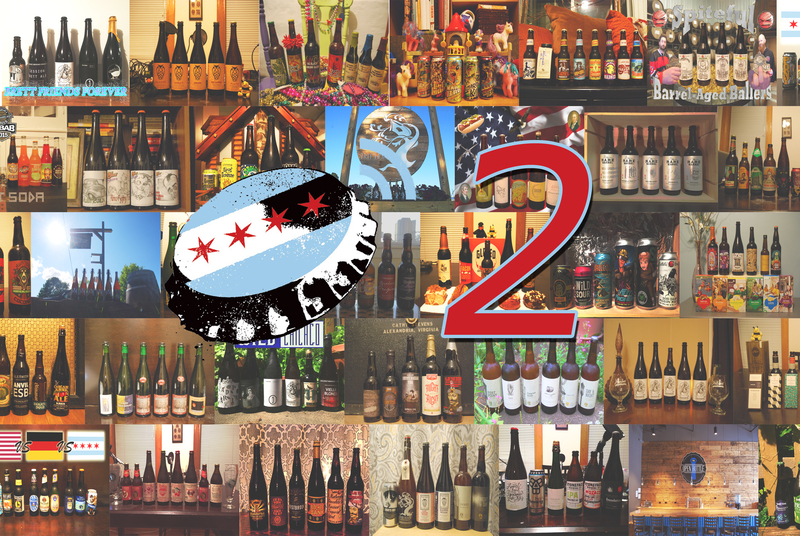 The twelve beers included most styles, including an IPA, DIPA, porter, pils, Oktoberfest, and fruited milk stout. I decided to go with the U of IPA, Hey Porter!, and the Scary Cherry Milk Stout. The flight was four beers, and one of the guys at the bar couldn’t stop raving about how “unique” Hattori Hanzo was. I asked him why, and he replied it only used Sorachi Ace hops. I immediately said, “No! Dill Pickle!” but eventually caved and made that my fourth. The standout of the four was the Scary Cherry – sweet cherries with a nice chocolate creaminess. The IPA and porter were solid, and the Hanzo I gave to the guy at the bar because it tasted like dill pickle with some butter. He enjoyed it. I finished with a full pour of their Blue Pils, thoroughly enjoyed the refreshing and crisp libation, and headed out. This is a definite stop if you’re in Champaign as it’s the only place to get to try a majority of their beer (right now). DESTIHL finally opened their long-in-planning brewpub in downtown Champaign in 2011. 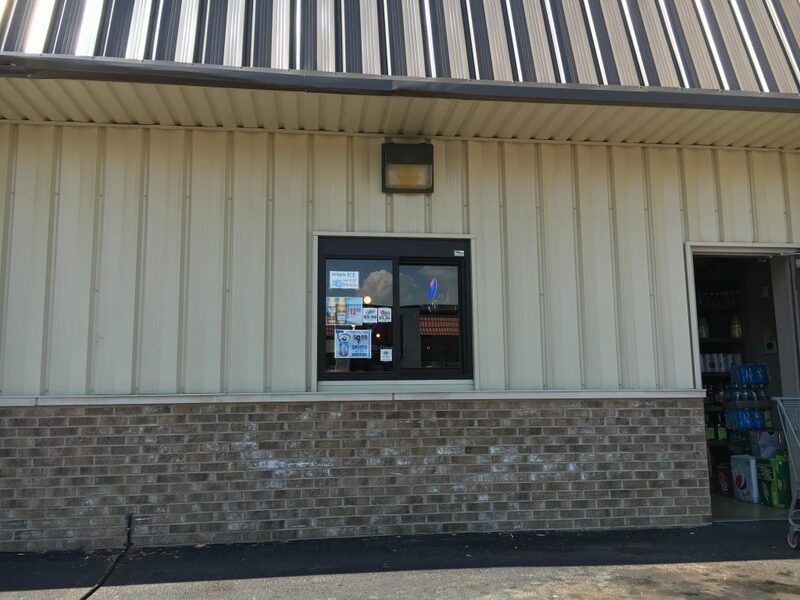 While they are distributed throughout the state of Illinois, most (if not all at times) of the beer on tap here is brewed on site. I didn’t spend a ton of time here on this trip, but I did get a pour of their Neil Street Saison, which was light and refreshing with some lemon notes. Recommended to combo DESTIHL and the Blind Pig Brewery as they’re within walking distance of each other. Anthony Benjamin was in the local Champaign-Urbana homebrew club when he and two friends decided to strike out on their own and open a brewery. 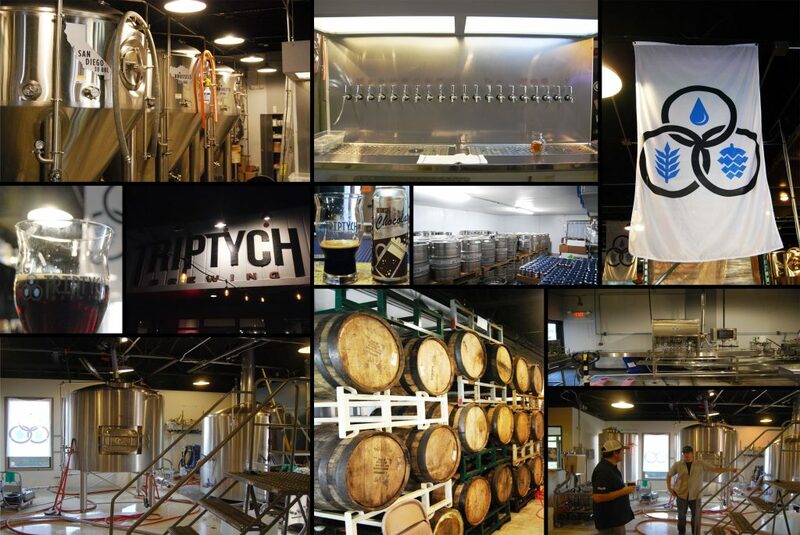 Triptych Brewing was born in early 2013 and has steadily been growing ever since. They distribute all over central Illinois (as far north as Peoria soon), can everything 16 oz at a time, date code, have the ability to check oxygen levels in their packaged offering (something even breweries a decade old can’t do), and insists his beer be in the cooler. It’s no wonder that Seth Fein approached Benjamin last year about making a beer exclusively for the Pygmalion Festival. The result of that, at Fein’s suggestion, is the Pygmalion Pilsner. Light (5.7% ABV) and refreshing, it has a bit more heft as it was hopped/dry-hopped with Mandarina and Sapphire hops to give it more of a fruity, earthy character (mainly to contrast with other Czech pils that would be at the fest). As with all of Triptych’s beers, the Pygmalion Pils was as clear as can be and was a lovely golden straw color. A real treat to be able to enjoy this type of beer at a music festival, I wish more festival concerts reached out to small, independent breweries to make a beer specifically for their festival. This was the second year the Pygmalion Pilsner was at the festival, and this year it was joined by Curtis, a beer brewed in collaboration with Goose Island, a festival sponsor. Curtis is a “farmhouse rye Belgian-inspired beer with local apple cider,” according to Benjamin. The beer was brewed at Triptych with Goose Island’s Sofie yeast and cider from Curtis Orchard (hence the name). Coming in at a ridiculously drinkable 5.5% ABV, it has some slight spiciness due to the rye (and the yeast), a dry finish, and some sweetness and tartness coming from the apple cider. It was this beer – in conjunction with the Pygmalion Pilsner – that got me absolutely hammered after the festival ended on Friday. It’s a beer than can be enjoyed by anyone – it doesn’t go too heavy on the Belgian-style saison, it’s not too dry, and it’s sweet but not cloyingly so. Maybe this will be a recurring beer at the festival? And canned? Krannert Center had a decent selection, with Sierra Nevada Pale Ale, New Belgium Fat Tire, Woodchuck Cider, Shiner Bock and Miller Lite. 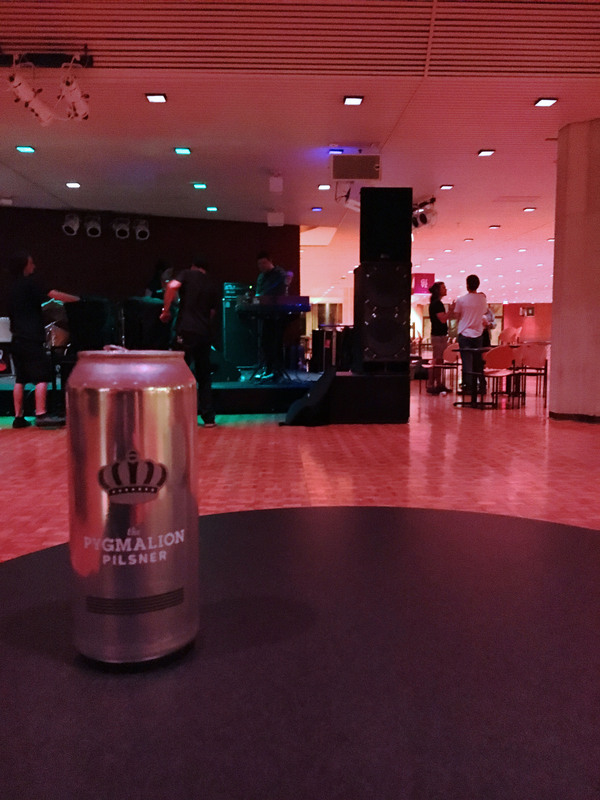 I was disappointed not be able to get the Pygmalion Pils on my first night there, so I asked one of the bartenders and was told it sold out in 30 minutes! Good on concert goers for drinking it, bad on Krannert Center (I later found out) for only ordering like 2 cases. Step up your ordering for next year, please! The Accord Annex had Budweiser stuff and Goose Island IPA, Four Star Pils, and 312. For some reason the main beer tent wasn’t serving any Triptych, and the auxiliary tent thankfully had the Pygmalion Pils in cans. Curtis was only available in the VIP area and in the artist tent. I would’ve have like to see Triptych more widely available at the festival, but other things might have been at play. I’ve been to Pygmalion a few times now, and pretty much each time something goofy happens (usually involving a performing artist). In 2007 at the Canopy Club, I asked a clearly intoxicated Andrew Bird to take a picture, only to have my friend – who has a PhD. – not figure out how to work the camera (I got a really bad video instead). In 2009, a friend and I wondered aloud if we were standing behind Autolux in line to get into the Canopy Club (we were), and then I sarcastically asked one of them when the new album was due out (it had been 5 years since their first one; it wound up being released the next year). In 2011, I had the merch guy at the High Dive comment on my Pavement shirt, only to find out he was the lead singer of The Pains of Being Pure at Heart, and then (probably drunkenly) ask why the bassist looked had a mic if he never sang and then said he looked like Sheldon Cooper. So there’s some history here. I successfully closed down three bars on Thursday night (Seven Saints, Blind Pig Brewery, Blind Pig bar). All three were basically dead around midnight and no one could tell me why. C’mon, Chambana! DESTIHL Champaign has one of the nicest bathrooms I’ve ever been in. The lines at the festival were too long, so I decided to get that Neil Street Saison and use the bathroom. I won all the way around. 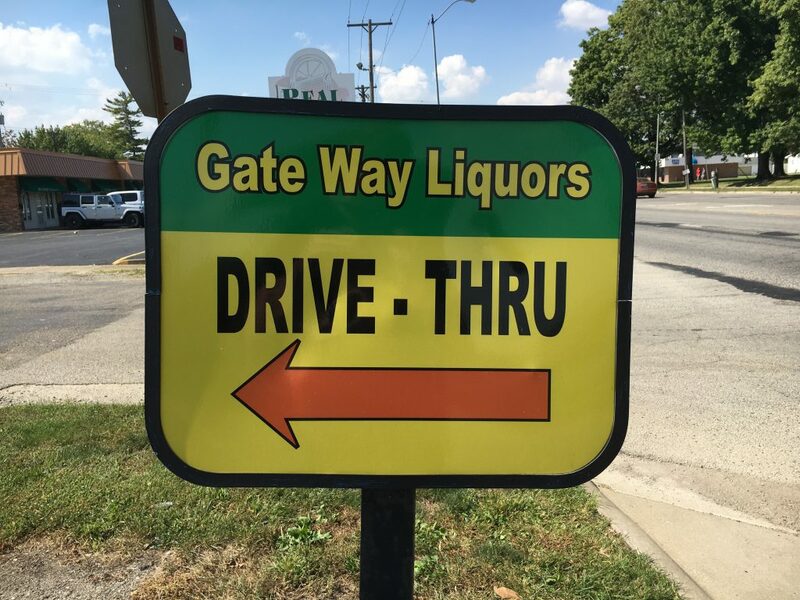 I managed to find a liquor store with a drive-thru while getting all the Triptych beers I needed for the show. When asked if people use it, the cashier said, “I hear it in my dreams.” (There’s a bell that goes off when someone uses it.) And no, I did not use it, mainly because I didn’t know what they had and I was hungover. I tried two times to get food at Steak N’ Shake, but both times the drive-thru line was excessively long AND barely moved. I settled for Wendy’s the first time and my sandwich (chicken, corned beef, swiss, and mustard) each time. All I wanted was a Frisco Melt!